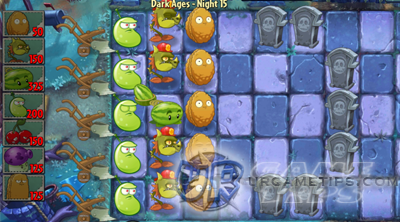 Here's a quick walkthrough and strategy guide for the "Dark Ages" stages in the action and arcade defense game - Plants vs. Zombies 2: It's About Time!. Bring out your undead to the year 948! Harvest mushrooms in the dark of knight and get medieval on zombies from the days of yore! 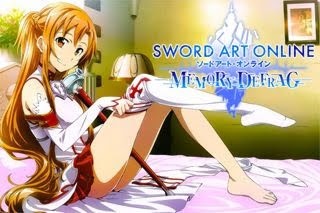 - Play Far Future Quick Walkthrough and Strategy Guide first before this guide! - Sun-shroom: They give small suns at first, then normal suns, and finally large suns. Other Sun producing plants will not work on the Dark Age stages, so your best shot is to use this plant together with Grave Buster for farming suns. - Tip: Use Plant Food on your Sun-shroom to make them grow quick and get large Suns (optional). - Puff-shroom: Weak and short ranged, but is has zero sun requirement and very handy as front liners and grave breakers during the early stage of every battle. It has a time limit though, after expiration the Puff-shroom will fade out of the battle. - Fume-shroom: Shoots fumes that damages all zombies in a 1x4 area in front of it. - One notable counter for Jester zombies. - Sun Bean: At the early stage of every battle, let the zombies eat this plant, then attack that zombie using your Puff-shrooms to get small Suns. - Magnet-shroom: Can pull metal objects off of zombies. - Hypno-shroom and Pea-nut: Not free, but can be played on certain stages. - Don't forget to add Grave Buster and Sun-shroom. - If Spikeweed is added, place and complete them last. - Snapdragons: always place them on the 2nd and 4th row first, next on 3rd, then 1st and 5th. - Grave Buster for graves and Cherry Bomb for tough zombies. - Practice: Spam Puff-shrooms, see Puff-shrooms' info above this guide for tips. - Plant Food: Sun-shroom - use Grave Buster to get PFs from graves, then use it on your Sun-shroom for some early Suns. 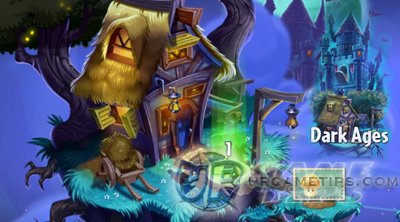 During the final wave, use PFs on Spikeweed or Peashooter ("with Cherry Bomb too"). - Plant Food: Hypno-shroom - to turn zombies to Gargantuars! - Grave Buster: Save and use them to farm PFs from graves. - Hypno Shroom: Save them to turn nearby zombies as your allies, use them wisely. 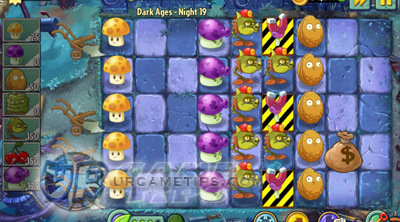 - Plant Food: Save them for final wave, use it on Fume-shrooms vs tough zombies. - Spam Puff-shrooms, Grave Buster for graves and Cherry Bomb for tough zombies. - Note: Projectile attacks won't defeat Jester Zombies, so use Fume-shrooms this time. - The above formation should be enough for this stage. - Grave Buster to farm the first PF from the grave then use it on your Sun-shroom to summon the big guns, yup the Snapdragons and Tall-nuts! Check the reminders section above on how to effectively place the Snapdragons. - Practice: Do the Sun Bean and Puff-shroom combo, see Sun Bean's info above this guide for tips. - Cherry Bomb vs tough zombies, this might be overkill though. - Hypno-shroom: Use to turn tough zombies as your ally, place them in front of your Wall-Nuts. - Grave Buster and Sun Bean: For farming Suns. - Those potions can make the zombies tougher and faster, so use your Puff-shrooms early on to gank one zombie at a time. Do the Sun Bean and Puff-shroom combo too to get quick Suns for your other plants. - Grave Buster for graves and Cherry Bomb for tough zombies at final wave. - Yup, no Fume-shrooms here for now to deal more damage. Quickly complete the formation above before the potion poppers will reach your tiles, and renew your Wall-nuts if needed. - Plant Food: Good news because you have lots of PFs to use here for your Wall-Nuts and for taking down those Gargantuars (needs at least 2 PFs on Fume-shroom). - Quickly clear the Graves to give space for your Wall-nuts, renew your Wall-Nuts' armor if needed by using PF, but make sure that their armor is totally stripped first. - Potato Mines: use and time it well to help you take down those tough zombies like Gargantuars. It looks like they love to attack through the 3 center lanes, prepare for them. - Excess Plants: Spam it to disrupt Gargantuar's advancement. - Cherry Bomb vs Wizard Zombies. Wizard zombies will temporarily turn your plants to sheep, it won't kill them but it will render them useless. - Grave Buster and Sun Bean for getting Suns. For best results, use Sun Bean vs tough zombies. - Like always, just quickly set up your Snapdragons and Walls, Wizard zombies might be a problem for your front-liners but you have Cherry Bomb and Fume-shroom's PF effect. - Plant Food: Use it on Puff-shrooms, once they start to fade or blink. Use Grave Buster to get PFs from graves. - Cherry Bomb vs Wizard Zombies. - Grave Buster and Sun Bean for getting Suns. - Plant Food: Fume-shroom vs Wizard Zombies or Jester Zombies. Do not use PF on Pea-nut vs Jester Zombies, it won't work. - Quickly use Grave Buster and other plants to destroy the graves before they call Necromancy early game. - Note that there are only 5 Fume-shrooms, so if there are 2 of them on 1 lane, use your "Shovel" to remove the other one and place it on the lane that doesn't have a Fume-shroom. - Use extra Pea-nuts over the damaged ones to restore their health. - Plant Food: Use most of your PFs to your Sun Bean's seed packet to instantly refresh it's cool down. You need to feed Sun Beans to all zombies in-order to complete this stage. - You can manually launch one mower by tapping and holding on it, use this only to defeat the Gargantuar. - Cherry Bomb vs Wizard Zombies only, try not to kill other zombies, you need them for Sun Bean's ability. - Spam Grave Buster, Sun Bean, and Puff-shrooms to get Suns, note that the only way to increase the Sun counter is by collecting Suns from Sun Bean's ability. - Do not turn on the game Speed Booster, it will make it harder to collect all Suns. - Follow the pic below for plant formation. - Plant Food: Use it only on your Melon-pult to defeat those Wizard Zombies, do this quickly though. They spawn after calling for Necromancy, 1 PF should be enough here, then use all remaining PFs at the final wave, to defeat those nasty Wizards. - Plant Food: Once the first green zombie appears, defeat it quickly then use the PF on your Sun-shroom to get Suns early game. - Getting Suns early game is tricky, but once you do, setup your Walls and Snapdragons to stop those tough zombies. Use the Sun Bean and Puff-shroom combo on tough zombies for better results. - Use 2 puff-shrooms to gank zombies early game. - Cherry Bomb vs Wizard Zombies, Zombie Kings, and to clear Graves for your plants (you can't use Grave Buster here). - Plant Food: Once the first PF grave appears, use your Grave Buster on it then use the PF on your Sun-shroom to get Suns early game. Use other PFs to refresh the cool-down of your Cherry Bomb's seed packet. - Spam Puff-shrooms on open spaces to harass zombies and to stop those potions from popping out, quickly setup your Snapdragons to clear the graves for your Walls. - Cherry Bomb vs Wizard Zombies (except the ones near your Walls) and Zombie Kings. - Once you have completed the formation, slowly replace Sun-shrooms with Magnet-shrooms. - Plant Food: Once the first green zombie appears, defeat it quickly by launching one mower (tap and hold), then use the PF on your Sun-shroom to get Suns early game. Use other PFs on Fume-shroom to defeat Wizard Zombies. - Quicly plant 5 Sun-shrooms early game and spam Iceberg Lettuce to halt advancing/attacking zombies early game, then quickly setup your Kernel-pults to defeat the first few zombies. - Use Pea-nuts over the damaged ones to restore their health. - Once you have completed the formation, slowly replace Sun-shrooms with Kernel-pults. - Plant Food: Use 1st PF to your Sun-shroom, then Fume-shroom vs Wizard zombies, Zombie Kings (optional), or Gargantuar (or just use mower instead). - Grave Buster to help get Suns, and Cherry Bomb vs Wizard zombies or group of tough zombies. - Just quickly setup some of your Snapdragons and Walls to protect the plants. - You can actually beat Dr. Zomboss just by spamming all plants anywhere (you'll need some luck though), but make sure you have at least 1 Pea-nut per row, and everyone should have a support. - Plant Food: Fume-shroom vs Dr. Zomboss, Gargantuars, or Wizard zombies. - To damage Dr. Zomboss, place a Magnet-shroom between him and your Fume-shroom (time it well), then quickly use PF on your Fume-shroom to unleash a full attack. This is best used if, there are metal objects around because Magnet-shroom will pull and use them also to attack Dr. Zomboss for an awesome damage!